Alright guys – to make up for some of the cons we won’t be attending like Heroes Con and Otakon we’re opening up sketches. These are for anyone and can be of anything. Your favorite character, your original character, you! Just go to our online store pick out what you want and we’ll make magic happen! 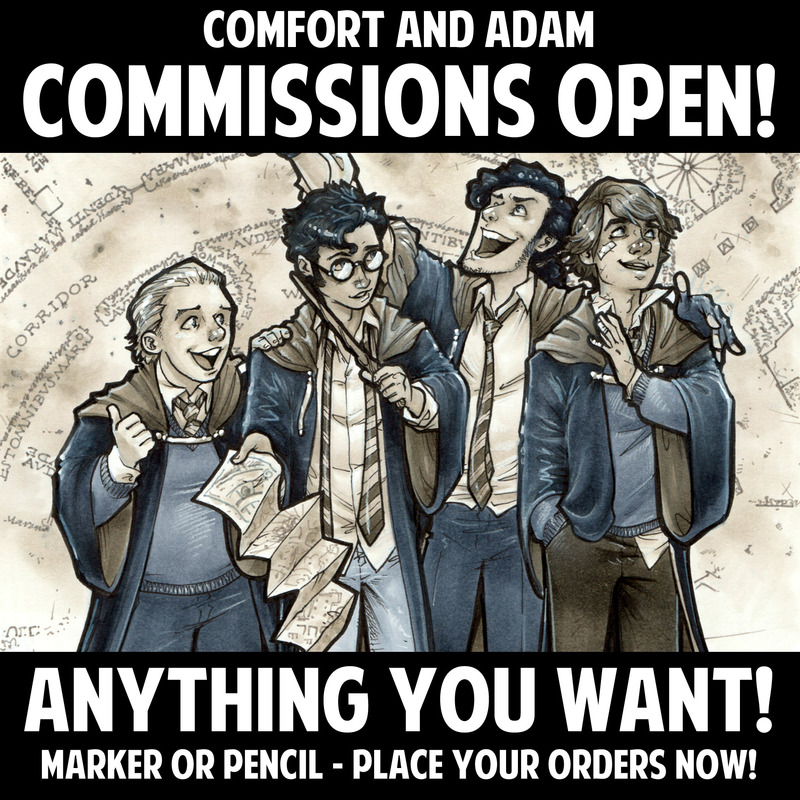 If you have any questions about anything send an email to ComfortAndAdam@gmail.com, or check out our sketches info page on our website!